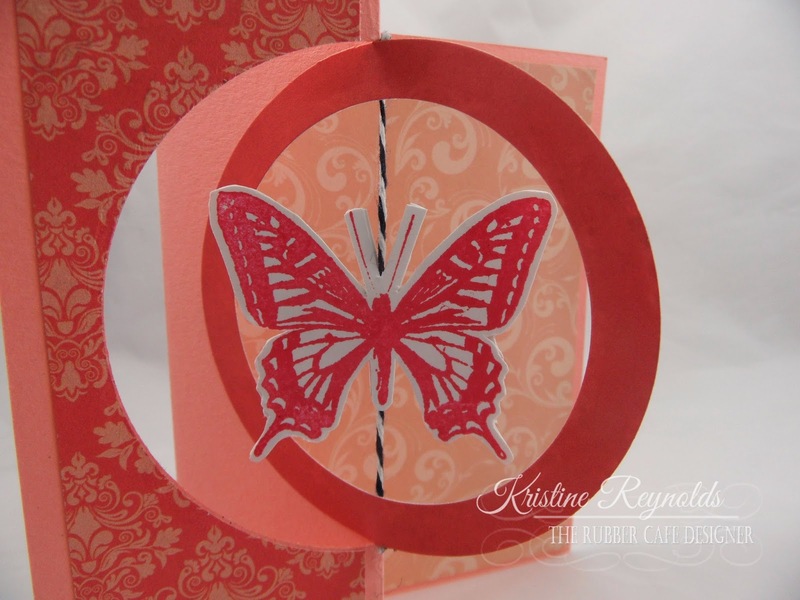 I am back today with another card that I made using this months Creative Cafe' Card Kit of the Month! You can see all the info about this months kit, Take Flight, here. 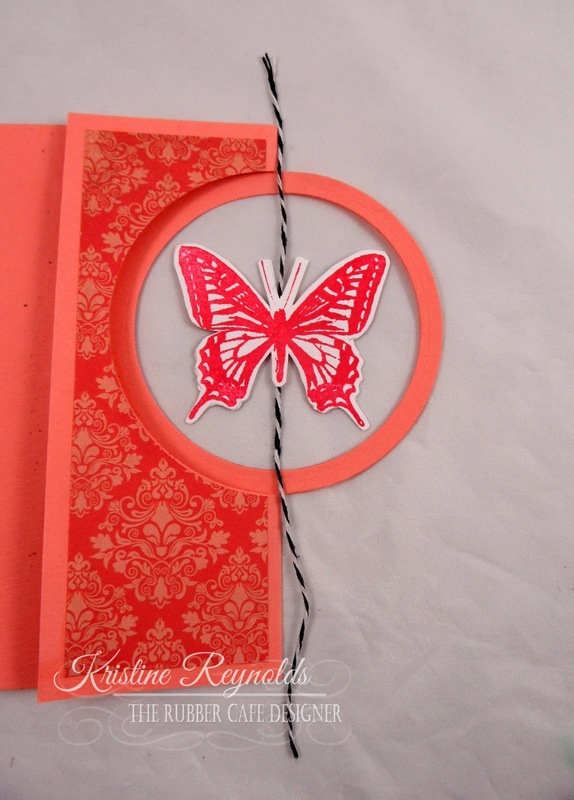 I used the Butterfly from the add on stamp set, "Winging it"on today's card. 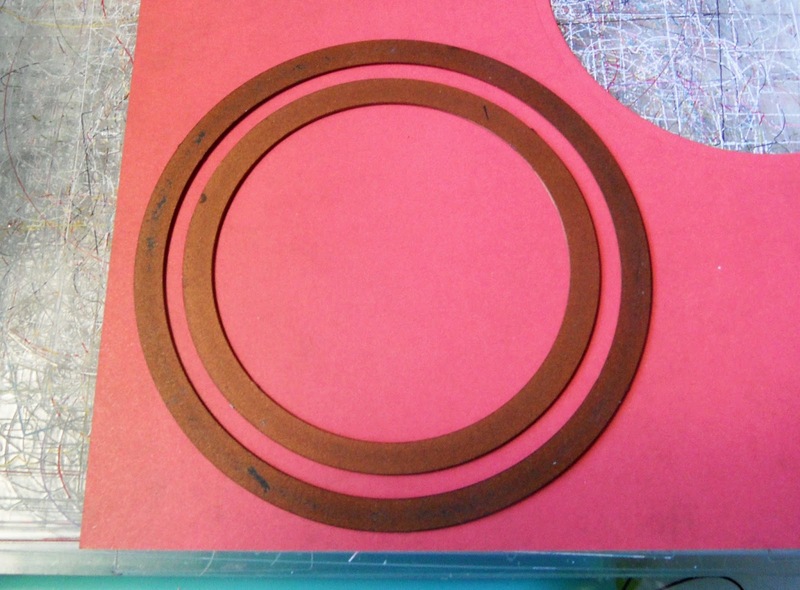 I started with a 5 1/2" x 8 1/2" panel of cardstock. 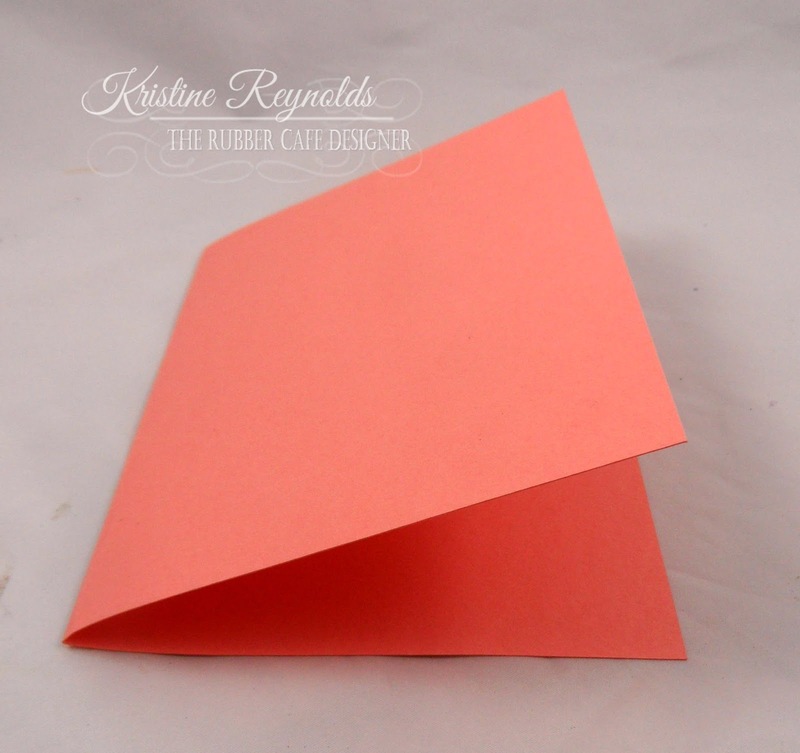 I folded the panel in half to create a 5 1/2"x 4 1/4" side folded A2 card. 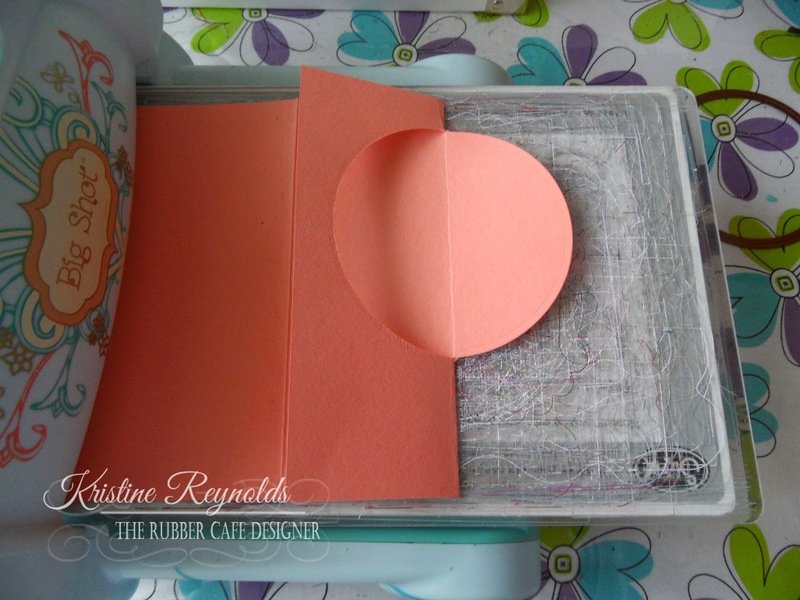 Open the card up and center the second to the largest Spellbinders classic circle die on the card front. Lay the top plate on the panel up to the scored line as shown. 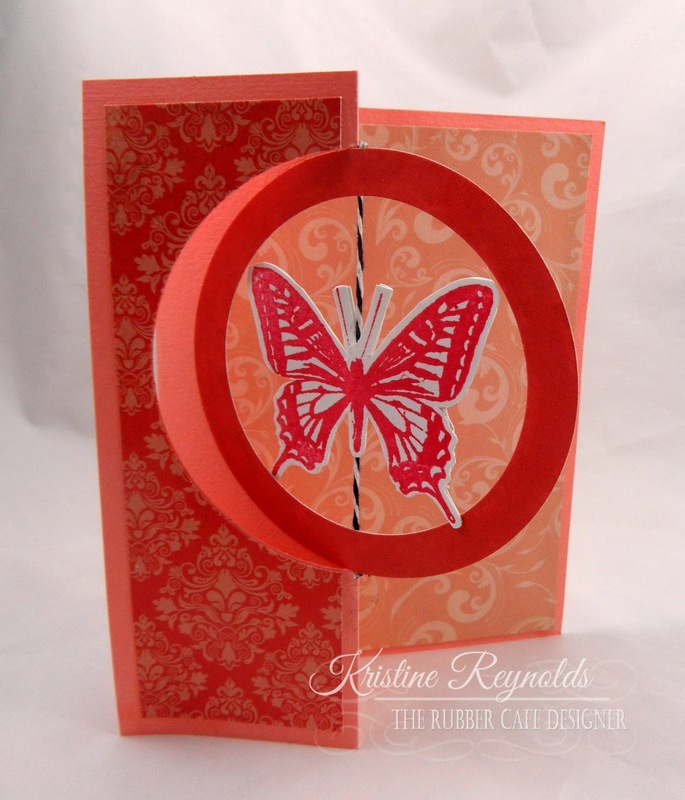 Run the card through the die cutting machine. It should only cut half the circle so it looks like this. 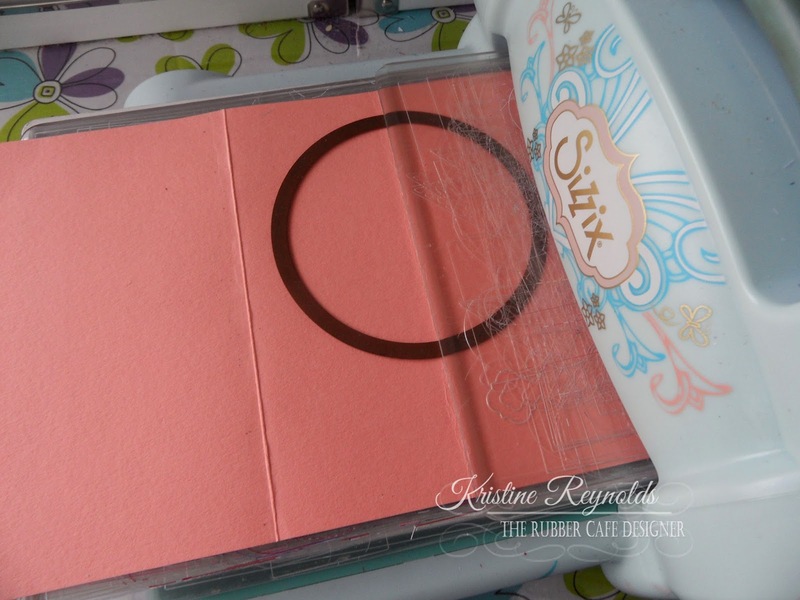 Use a circle die 2 sizes smaller and run back through the cutting machine. It will look like this after this step. 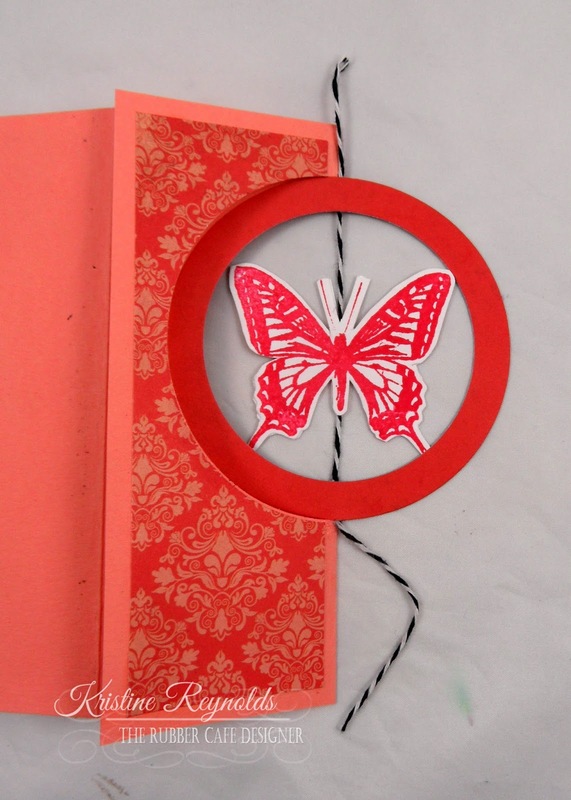 Stamp two butterfly images with coral ink and cut them out. 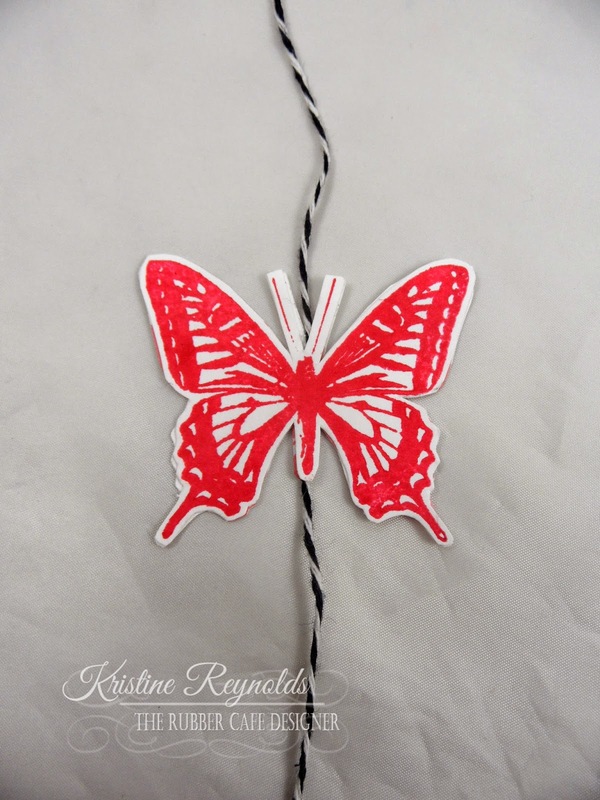 Using Scrap Happy Glue, glue the two backsides of the butterflies together with a piece of twine in between them as shown. I got this twine from an older Creative Card Kit but you can use any twine or string you have on hand. 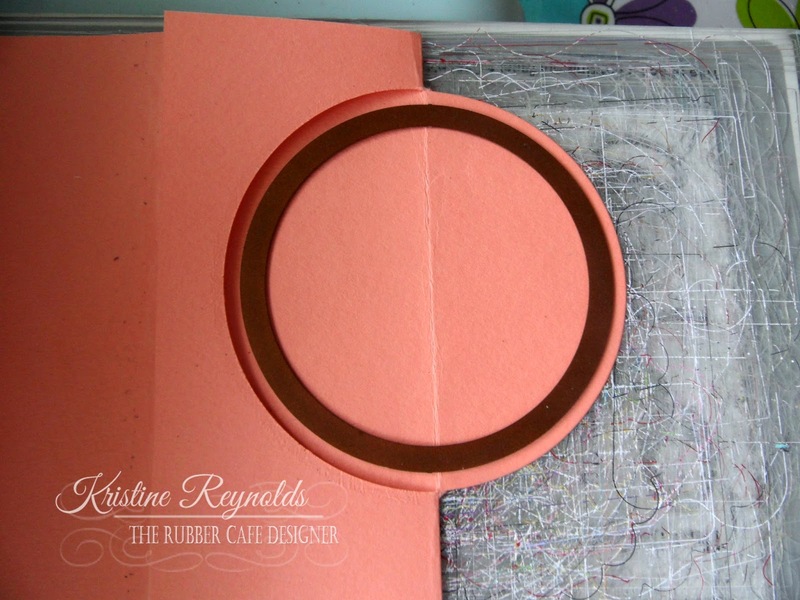 Use Scrap Happy Glue to glue the twine to the circle at the top and bottom of the circle and set aside to dry. 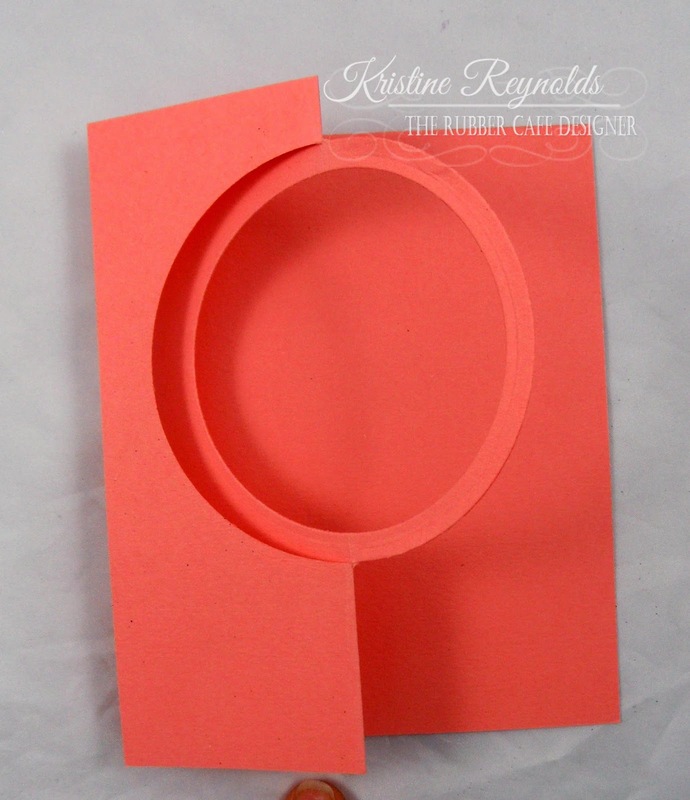 Die cut a circle pattern out of dark coral paper from the paper pack that comes with this months kit. 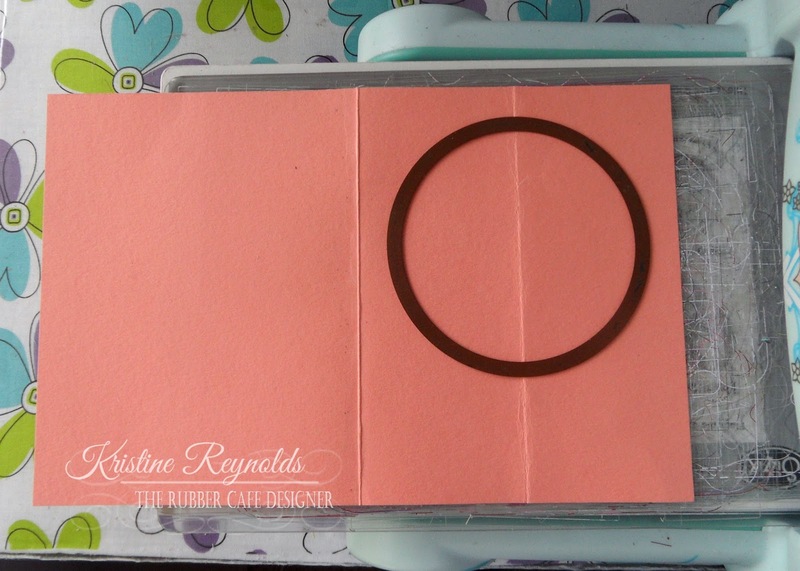 Adhere this circle over the top of the circle on the card with Scrap Happy Glue. Trim the twine on the top and bottom of the circle. 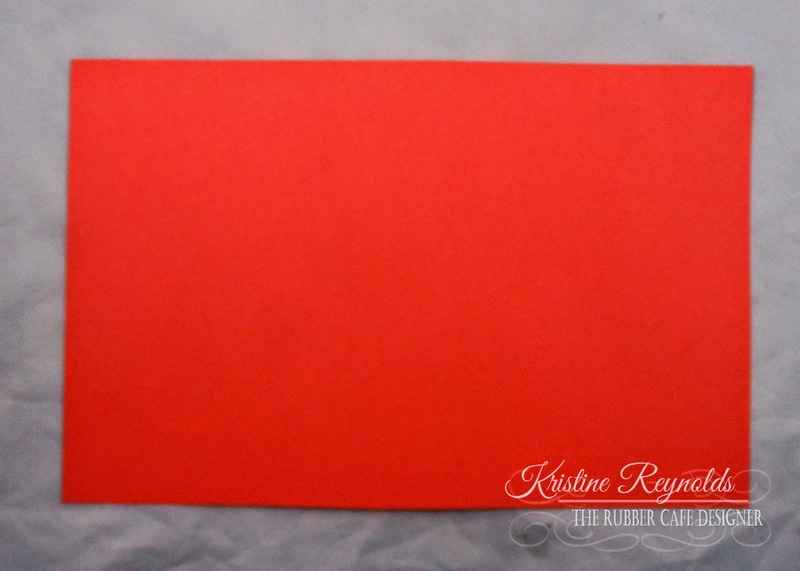 I adhered a panel of patterned paper to the inside of the card too. I hope you enjoyed today's card! 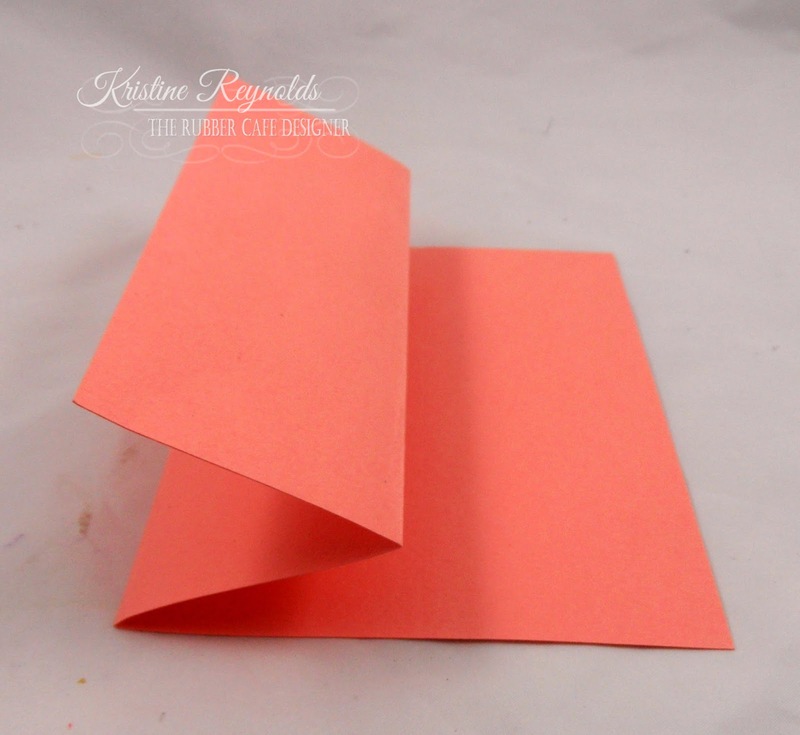 I'll see you next Sunday with another terrific fun fold card that I created. 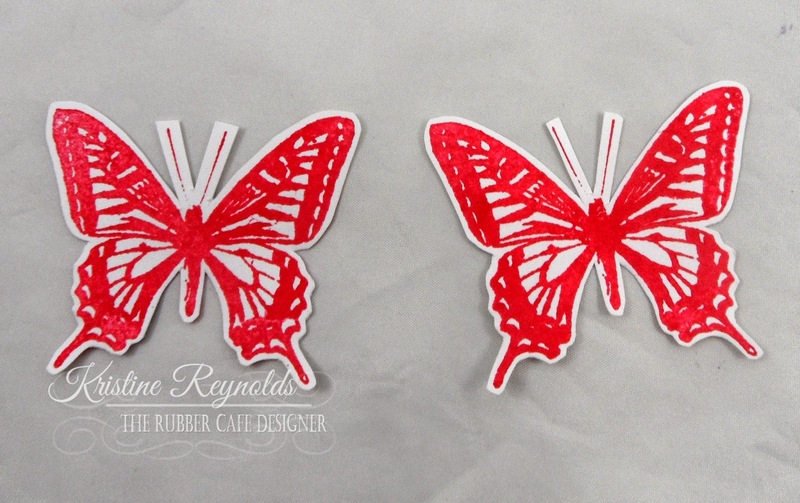 Stamps: The Rubber Cafe'-Creative Cafe' KOTM: Take Flight and the add on set, Winging It. Love it. I might have to CASE this one !! It is beautiful. 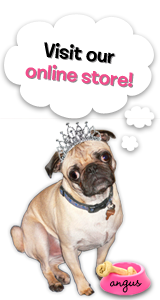 I love this Kristine! Well done on the tutorial as well.